It is finally here! 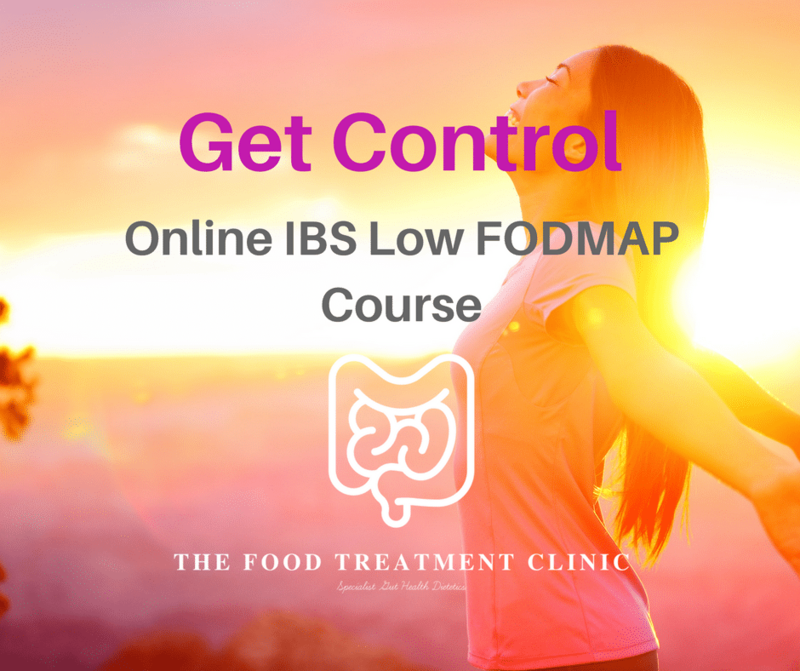 The Low FODMAP, IBS Online Course. This course will take you through a 4 month process of understanding and controlling your irritable bowel syndrome symptoms. The course is a combination of online tutorials from me (which you can access in your own time), exclusive Facebook lives, written information packs and worksheets. Ensure an accurate diagnosis – many people have not had the correct tests needed for an accurate IBS diagnosis and this could lead to long term health problems. Find out which type of IBS you have – there are 4 different types and understanding yours can help you manage it better. Understand why you have IBS and what this means for you – many people get frustrated at why they are unable to eat certain foods whilst perhaps their friends or relatives can eat whatever they want with no consequence. Control your symptoms – the main point of this course – get that control back and get back to feeling you again! Find out your IBS triggers – wouldn’t it be nice just to avoid the foods that cause your symptoms rather than having to suffer all the time or avoid everything? Follow the low FODMAP diet process, guided by a qualified dietitian – follow this diet safely with guidance from myself, a qualified and experienced dietitian. It is recommended that this diet is followed with the support of a dietitian because of the risk of malnutrition, nutritional deficiencies, damage to gut bacteria and a potential negative impact on mental health. Have access to The Healthy Gut Academy Facebook Group. This is an exclusive private group where I will be doing regular Facebook lives to answer your questions. You will get a life long membership to this. * With IBS, it can often feel like we are on our own when really there are millions of others out there. This group provides a safe environment to feel supported by others going through what you are. This course is for any adult aged 17 and above who has been given an official IBS diagnosis from their GP or gastroenterologist. Please read here if you are not sure if you have had a diagnosis yet or not. The first part of the course is based around getting to the bottom of the gut health basics before we go any further. In this, you will need to track and monitor your own diet and symptoms. The second part of the course involves following the reduction phase of the low FODMAP diet. Kings College written information will be posted to you. The final phase of the course will see you reintroduce FODMAPs safely to find out which group or groups were causing your symptoms. Firstly, you need to contact myself to put your name down for the course. I will then send you payment details and when this has been completed, you will receive your confirmation of booking. Ready To Book On? Contact Me Today!